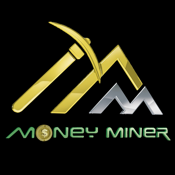 Call received at 911! It’s an emergency! Send the fire brigade team for the rescue mission. You are appointed to drive the fire truck and save innocent lives. Save the day, win the heroic firefighting missions! 911 Fire Truck Rescue Simulator is a fire truck parking, driving simulation game. Drive around the city in your fire truck; avoid crashing your fire truck into other cars and vehicles. Have you ever dreamt of becoming a 911 emergency fireman? If yes, then this is your chance to become a firefighter super hero and save innocent lives. Hurry! Rush to the rescue location to reduce the death toll of innocent people. You have the best fire extinguishing equipment at your disposal. Rushing to the fire emergency destination at minimum possible time is your utmost job. 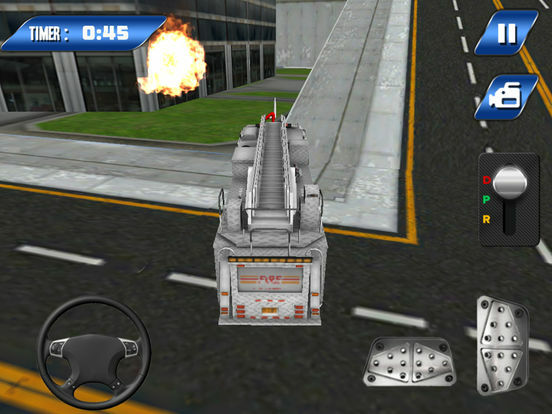 911 Fire Truck Rescue 3D is all about driving an awesome fire truck all around the city. Becoming the best truck driver to help save lives is the most amazing feeling to experience. 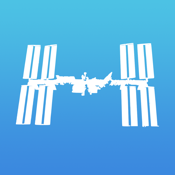 This is not a fire drill; it’s an emergency rescue simulator alert. Grab your helmet, start your engine and drive your vehicle as fast as you can to the fire zone. Avoid crowded areas and traffic jams, use the siren to make your way through the cities of the game. The game is not over yet when you have arrived the destination. Get hold of the fire hose to extinguish fires before it spreads all over. 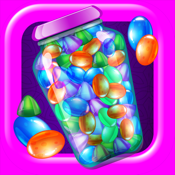 A firefighter simulator 3D life is full of danger. Experience and explore this career of a real American firefighter trucker across large distances in this awesome 3D truck simulator game. 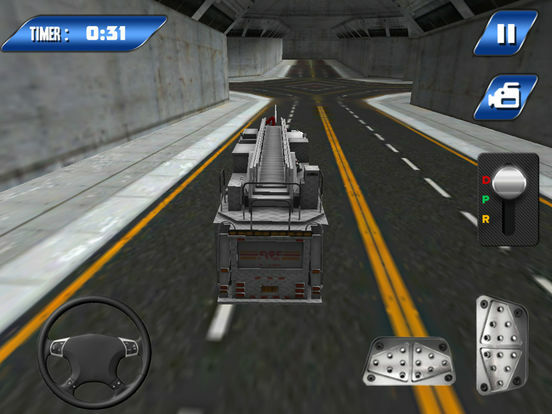 Test your driving skills on the big American roads in this exciting 3D extreme trucker game. 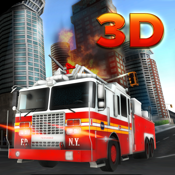 Fire Fighter Truck Simulator 3D is an awesome simulation game, drive to the correct location, park your fire engine in the parking simulator zone and use the hose to put out the fire on the buildings, can you save the city and complete all 10 levels? We have a fleet of emergency trucks available for special emergencies and joyride. If there is a crash or accidental fire emergency at a construction location, we have our 911 construction truck sim 3D ready to reach the fire zone. While delivering a flammable material to some other cities there is an emergency, we send our 911 firefighter Cargo truck to the location at once. Similarly 911 emergency sand excavators, 911 snow plow and 911 extinguisher garbage trucks also include the special fleet. 911 Rescue Fire Truck is next level driving race simulation game with very challenging game play. Play as the firefighter emergency driver, people priceless lives depends on your driving skills. Drive with speed police car and ambulance backup is on their way. Most challenging game ever made with big firetruck emergency car. 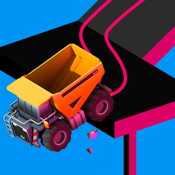 Amazing 3D truck parking emergency and simulation game. Try your hands on rescuing people life in mayday situation with this amazing rescue 911 firefighter driver sim 3D free duty game. 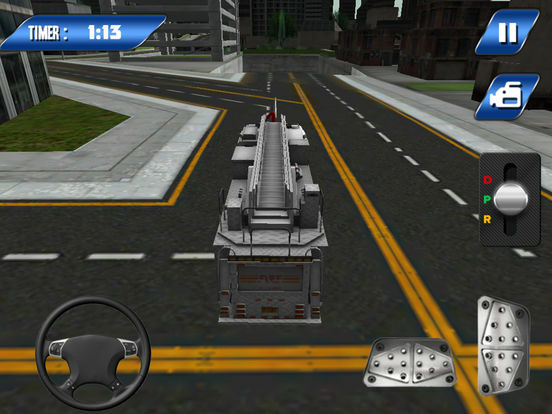 It’s an awesome truck parking game with thrilling situation and racing game-play. Fire rescue truck simulator is driving 3D simulator game to act frontline rescuer and save people lives. 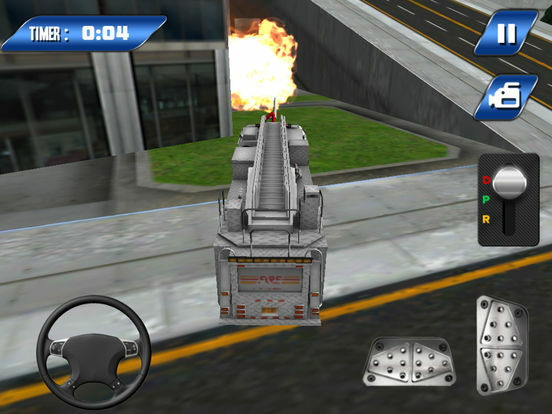 Play as fire engine brigade truck driver for the rescue mission. In this rapid fire truck simulation thriller game your missions is to save innocent civilians priceless lives under fire emergency situation. 911 rescue department calls your team to aid people in fire emergency, help ambulance to transport injured patient to the nearest hospital. If parking trucks is no more a challenge for you, try this new truck simulator 3D now. Driving fire trucks can be harder for you but it is more fun to drive than smaller cars.